“wow” this is the immediate response when i tell people i start to learn fencing! I think this is the cool sports to start with, as a female fencer, i find fencing is very attractive for number of reason. First of all, Fencing is the excellent sport for people who are easily bored by routine fitness program, since no two bouts are ever the same. 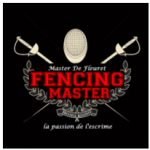 Second reason, people tend to continue with this sports once he take up the lesson, there is strong motivation for fencer to keep coming back to the club. Thirdly, its a sport enjoy by many people regardless of their age, because its challenges are both mental and physical. A Fencer gets so focused on outwitting his/her opponent; they forget that they’re exercising vigorously and burning 400 calories per hour. That’s what makes it so enjoyable. Finally, its a very very cool sports, and you will definitely WOW your friends. Ladies, if you are looking for excellent fitness regime, keep you in shape and impressed your friends/other half, Fencing is for you!